Ah, winter in southern Greece. 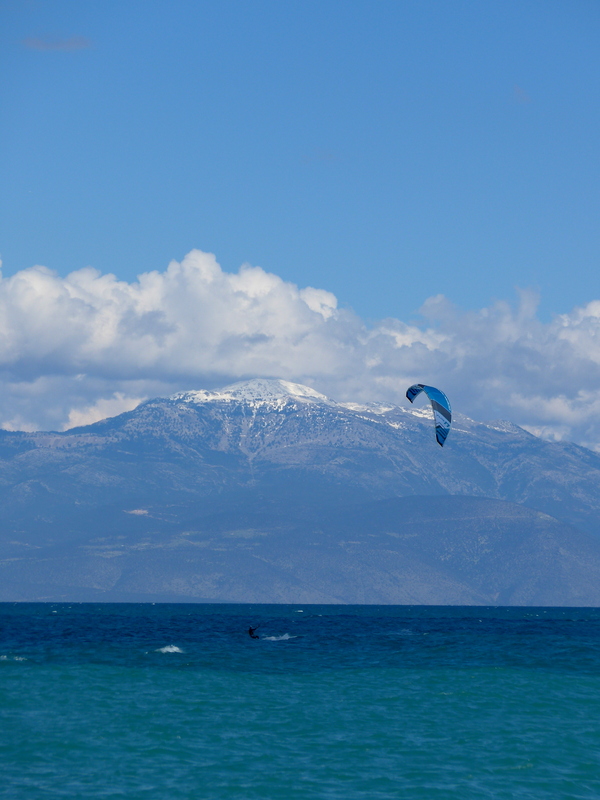 In addition to the half-dozen wind surfers in wet suits at the nearby Beach Connection bar (alas, closed for the season), we saw a couple of ladies out for a swim today here on the Sikya beach as well. “Winter Swimmers” are a thing here, and while New Englanders might think the conditions perfectly reasonable for swimming — air and water both about 60 degrees– it’s a bit chilly for the two of us. Nearly perfect for everything else, though. And, after that miserable February in DC, our delight borders on ecstasy. 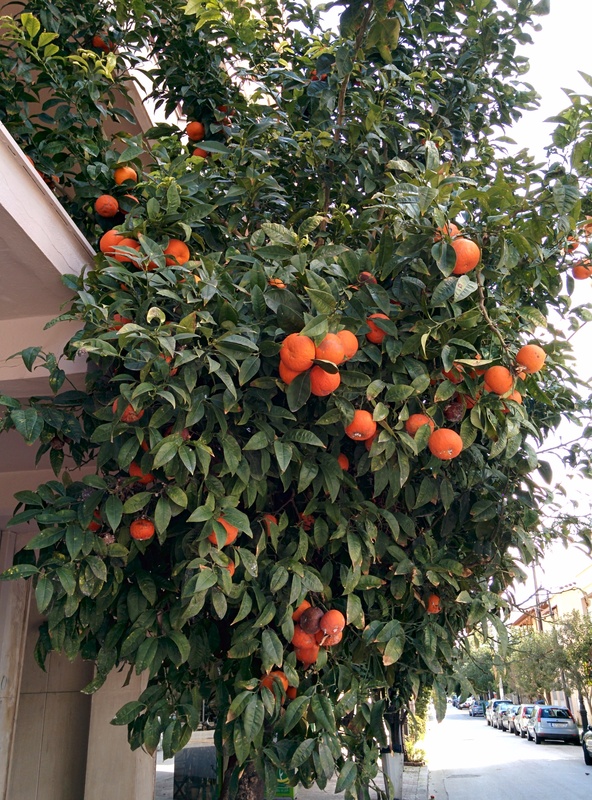 Every year, I’m amazed again by the crazy hyper-abundance of oranges and lemons in Korinthia this time of year. The trees are groaning with fruit, and everyone seems to have several, so these sidewalk trees in Xylokastro go unpicked. An overloaded truck (or two) invariably spills a few bushels negotiating a sharp turn here in Sikya, and as a result each year I’m treated again to the heretofore un-thought-of experience of driving over lemons. It’s hard to resist the temptation to stop the car and shovel a few dozen into the back seat. 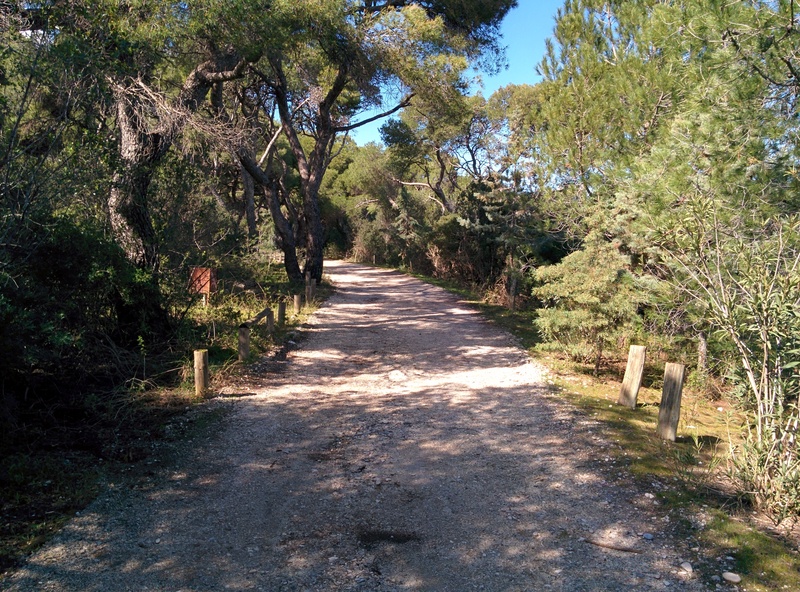 The wind was fresh and from the west today when we walked the Pefkias (pine forest), and our jackets felt good on the way out to Xylokastro. Turning for home was a different story, though, and we soon peeled off the jackets and rolled up our sleeves for the hike back. Winter here is winter as it should be — restricted to the ski slopes. So nice to hear from you. It all sounds lovely to us as we had another day of freezing rain and cold temperatures. You are getting us excited for our trip to Greece in a few months!